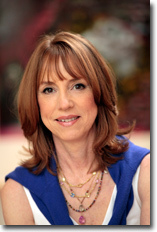 Lisa See is the author of Dreams of Joy (2011), which debuted at Number One on the New York Times bestseller list. She is also the author of the international bestsellers Snow Flower and the Secret Fan (2005), Peony in Love (2007), and Shanghai Girls (2009). Her first book, On Gold Mountain (1995), a memoir of her Chinese-American family, was a New York Times Notable Book and national bestseller. The book became the basis for an opera produced by the Los Angeles Opera for which Ms. See wrote the libretto and an exhibition that she curated for the Autry Museum of Western Heritage that then traveled to the Smithsonian Institution. She is also the author of three mysteries -- Flower Net (1997), The Interior (1999), and Dragon Bones (2003). She has been honored as National Woman of the Year by the Organization of Chinese American Women and was the recipient of the Chinese American Museum’s History Makers Award.